Future Pipe Industries Group (FPIG), a leading pipe design and production company, has acquired 100 per cent of the Spanish fiberglass pipe manufacturing business Protecciones Plásticas. The Barcelona-headquartered company, which carries on business under the trading name Protesa, has with facilities in Zaragoza, Spain; Pune, India and Jorf Lasfar, Morocco. The takeover is a major strategic addition to FPIG's composite pipe business and adds considerably to its ability to service its clients particularly in the water, desalination, industrial and infrastructure sectors in Europe, North West Africa and Latin America as well as provide FPIG with its first manufacturing facility in India. "This acquisition marks an important step in our strategy to diversify outside of our core market in the GCC" said Fouad Makhzoumi, chairman and CEO of Future Pipe Industries Group. 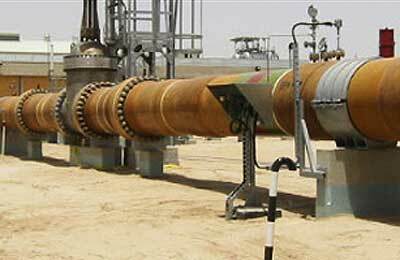 "Protesa has been manufacturing GRP (Glass Fiber Reinforced Polyester) composite pipe systems for over 50 years and is one of the leaders in its field, with a strong network of clients across Europe, North Africa and globally. “We are therefore very pleased to have been able to conclude this acquisition and are excited about the potential it brings to our growing group of companies, particularly as it significantly increases our ability to service our clients from a dedicated GRP facility in Europe.